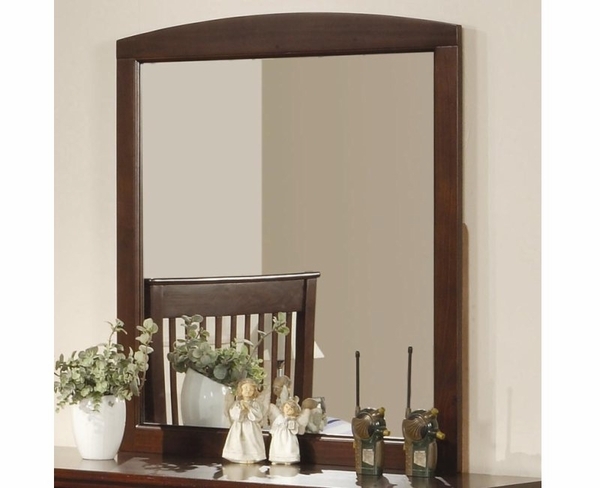 This simple and stylish dresser mirror will be a gorgeous addition to the youth bedroom in your home. Place this smooth wood framed mirror above the dresser to create additional light and depth in the space, for a warm environment that your child will love. Finished in a rich warm Brown Cherry, this pine construction mirror is sure to complement your decor, becoming a long lasting favorite in your youth bedroom.